Click the button above to Join the Vizsla Club Of Illinois. Are you interested in coming to a club meeting or area dog-related event? Maybe you would like to do a little shopping of vizsla related items? 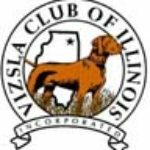 The Vizsla Club of Illinois has a wide variety of fun, competitive and educational events throughout the year. All of our events are open to club members and non-club members alike! The VCOI’s membership is comprised of individuals across the United States. As a club, we are one of the largest in the vizsla breed and we continue to grow in membership each year. 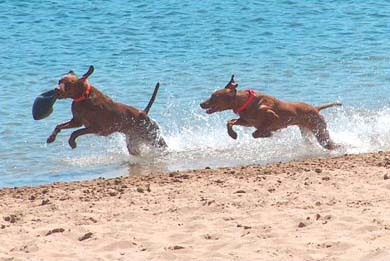 We welcome new members to join our club as we work together to support high quality competitive events, responsible ownership, and proper care and breeding of our beloved vizslas. We work to continually educate our club members and the general community about the unique qualities of the vizsla. From novice owners, to experienced breeders, to accomplished competitors – you’ll find something for everyone at one of our many club events and fun days throughout the year. To apply for membership please read our Club By-Laws and complete our Membership Application. Upon completion, please mail the application and your check to our Membership Chairman. All applicants must be endorsed by two unrelated members in good standing not of the same household. This endorsement should be signified by obtaining the signatures of these members on the sponsorship lines on the application.